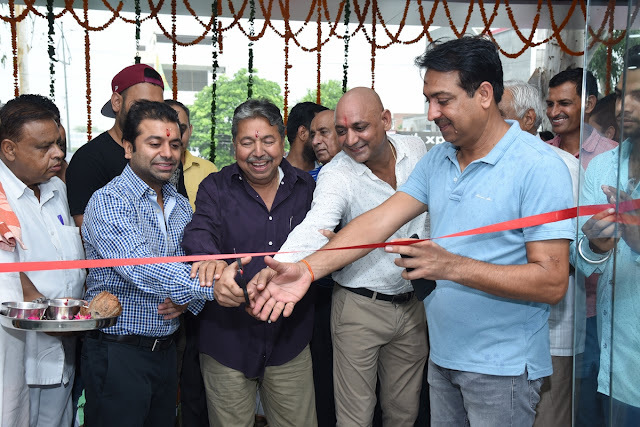 Karnal, July 20, 2018: Kajaria Ceramics, India’s No.1 and world’s 9th largest manufacturer of ceramic and vitrified tiles launched its largest Kajaria Eternity World showroom in North India at Karnal. The showroom is spread across 6000 square feet and is packed with the entire Kajaria Eternity range (GVT Range) and complete bathware solution range by Kerovit, showcasing more than 1000 designs from the Eternity collection. The showroom was inaugurated by Mr Ashok Kajaria - CMD, Kajaria Ceramics and Mr Rishi Kajaria, JMD, Kajaria Ceramics. Through this showroom, Kajaria aims to engage with customers by providing the finest services and a state-of art experience into Kajaria universe. Adding to this Mr Rishi Kajaria, JMD, Kajaria Ceramics said, "Our strong network of Kajaria Eternity World showrooms already cover major cities in North India. The recent inaugurations in Karnal further deepens our connect with consumers”. Kajaria has a strong network of dealers and associates in Northern India and with this new showroom, it further solidifies its presence in the region by taking the Kajaria legacy forward.